By default, the Smoothwall System contains a number of policies which you can deploy to detect and prevent intrusions. It is also possible to create custom policies to suit your individual network. 3. Click Add. 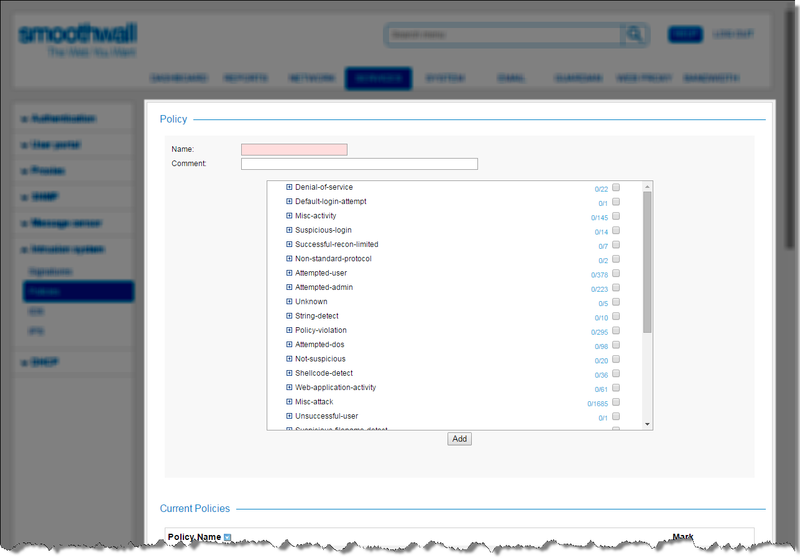 The Smoothwall System creates the policy and lists it in the Current policies area.